Jon and Vaunda have a bucket list...and they're not wasting time getting to it. 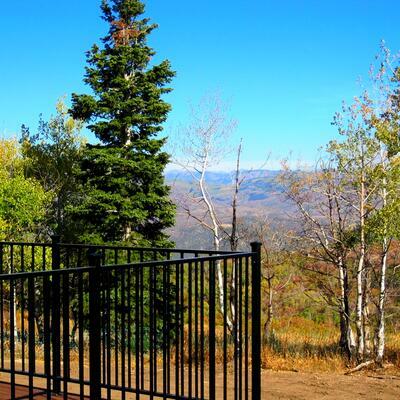 These homeowners are outdoor enthusiasts and avid skiers, and they have a goal: they want to ski in all the locations where the Winter Olympics have been held! So far, they've been on the slopes all over the world including Lake Placid, Squaw Valley, Whistler, Calgary, Innsbruck, Austria, Cortina, Italy and St. Moritz, Switzerland Five years ago, they skied near Park City, Utah, and decided then and there - that is where they want to retire. They want nothing to do with laying around during their retirement, they want to enjoy every minute of it. The search was on for property to build their dream retirement home and ended up finding the perfect place. Jon says the property they decided on was exactly what they envisioned. 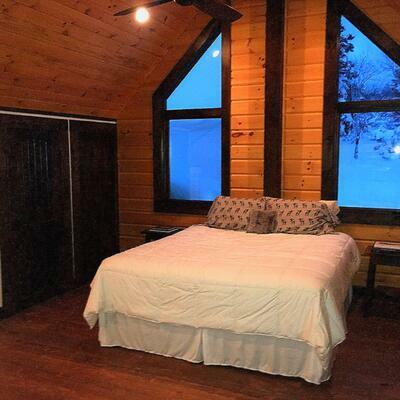 "Our view includes 6 different mountain ridges and nearly 100 miles of visibility. 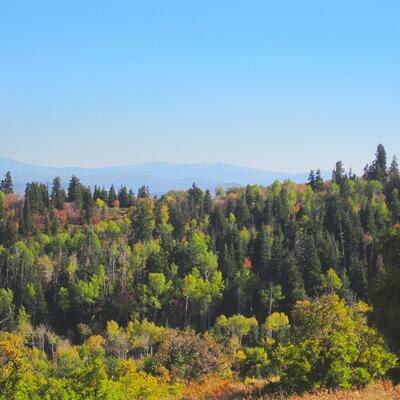 Whether it's the fall colors of the Aspens, white pines, and maples, the breathtaking snowcapped winter mountain ranges, or the budding green renewal of Spring, the views are breathtaking and always changing." Now that they found their land, the next step was what they wanted to build. "At 7700' elevation we knew we would be getting our share of snow. 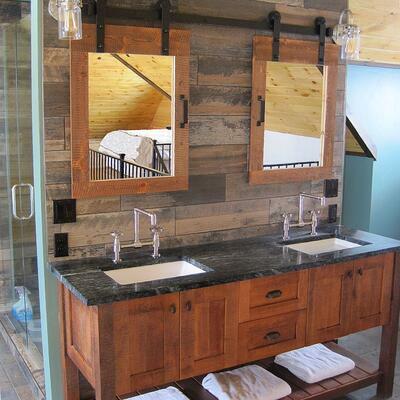 We knew we wanted a cozy rustic home." Jon says they originally looked into "post and beam" constructed homes. "Though beautiful, the design is cost prohibitive for our budget. 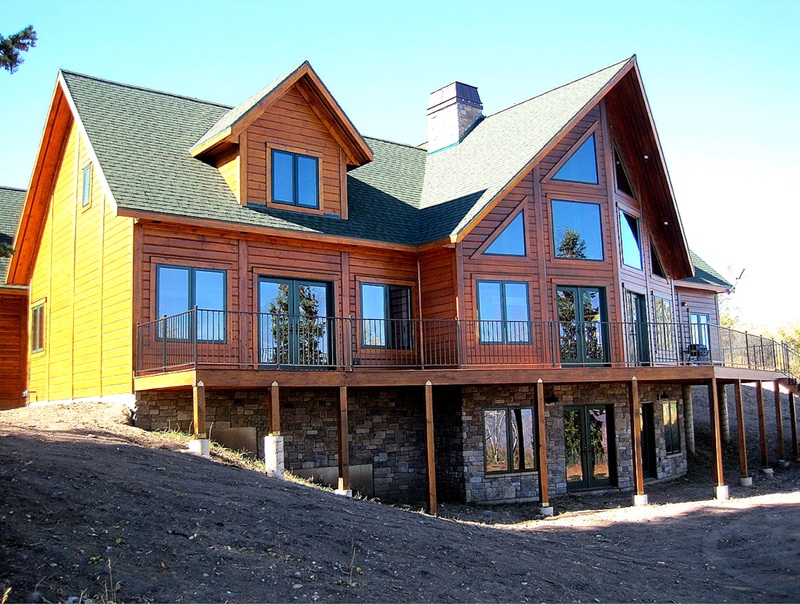 We liked the look of log homes, but we didn't want to build one due to the high maintenance they require. The constant settling and subsequent chinking required along with the lower insulation factors of the wood walls where going to be expensive and time consuming, neither of which were appealing to us." The search continued until they found Timber Block while surfing the net. They immediately fell in love with Timber Block's Classic Series. Due to their cold environment, energy efficient was not just important to them, but an absolute must. 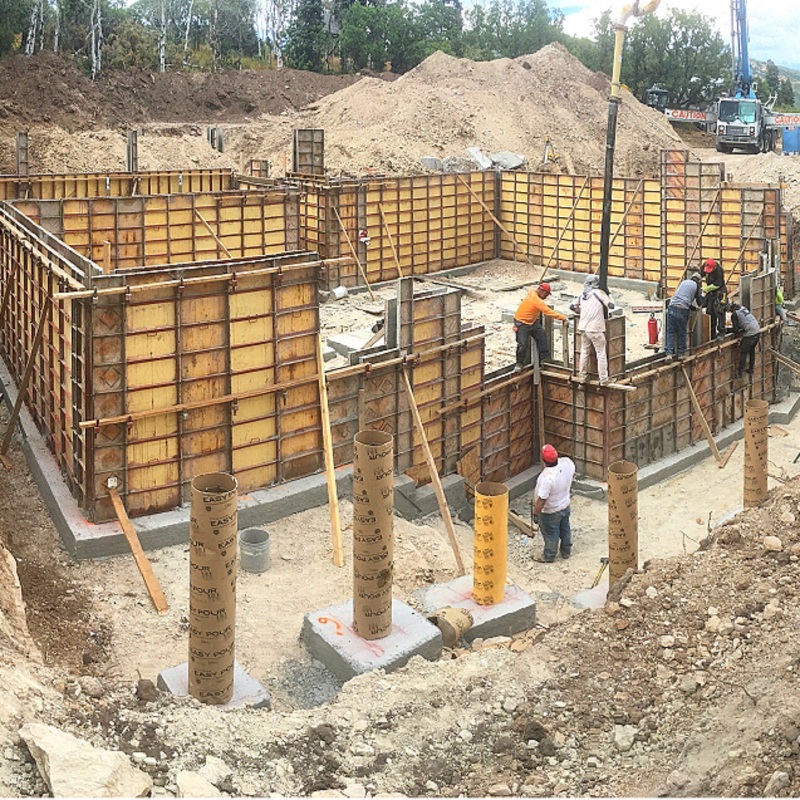 "With the cold weather we would be experiencing, we knew we would have to incorporate multiple low cost heat sources as well as excellent insulation. The Timber Block product offered this in spades. The R-30 walls would provide the insulation. 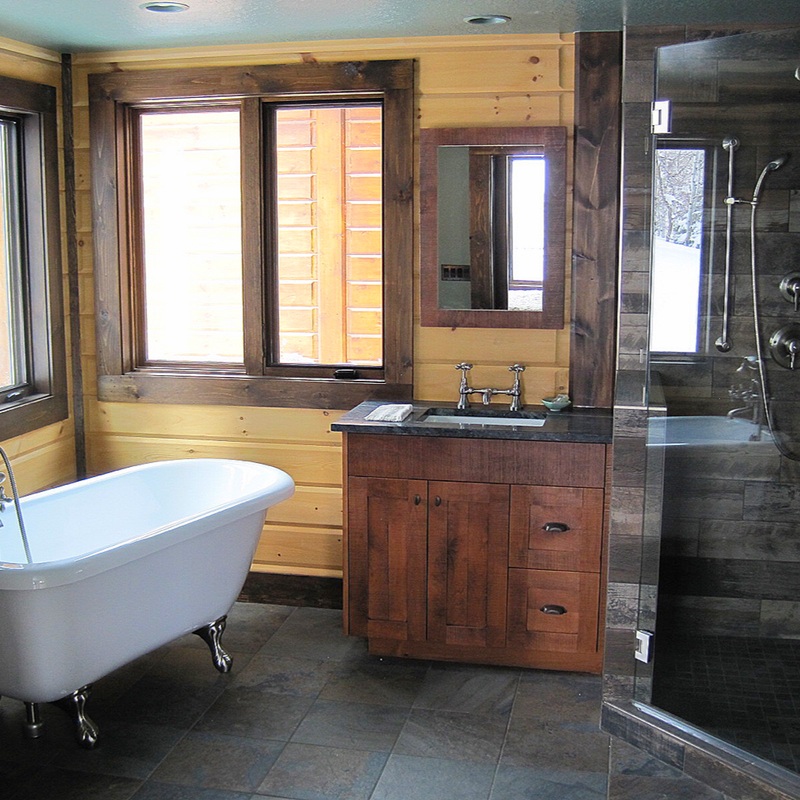 The wall of windows provides fantastic passive solar to our South facing lot, and our double sided fireplace provides low cost additional heat to our standard propane source. These were all great reasons as to why we looked further into the Timber Block story, but we later found that the flexibility of design, factory construction process, and quick "dry in" construction were the 3 main factors that convinced us to go with Timber Block. " The next step was to decide on a home plan. Jon and Vaunda loved the Dakota, but they wanted to integrate some of the Denver design, and ultimately ended up with several design changes. "We made at least 8 different major design changes before we had the finished set of plans. We went from a 2-stall garage under the house, to later integrating a dumbwaiter to get groceries up to the kitchen. We then removed the garage and designed a detached garage with a breeze way and finally ended up with a tandem 4-stall garage and mudroom. We moved the staircase to three separate locations and worked with multiple kitchen/breakfast nook and bedroom/closet combinations." Jon says they were pleased to be able to make the changes they wanted. "All of these changes would have easily cost thousands of extra dollars using a hired architect yet were all happily accommodated by the Timber Block design team at no extra charge." 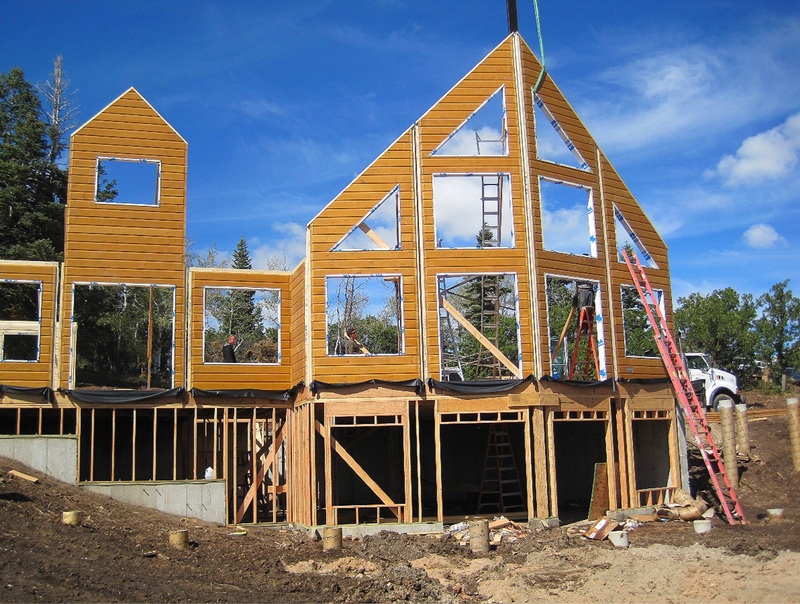 Heading into the construction phase, Jon says they were very impressed with the Timber Block system. "The walls are assembled using jigs and are pressed together at 5,000 lbs per square inch while being additionally screwed together every 24". 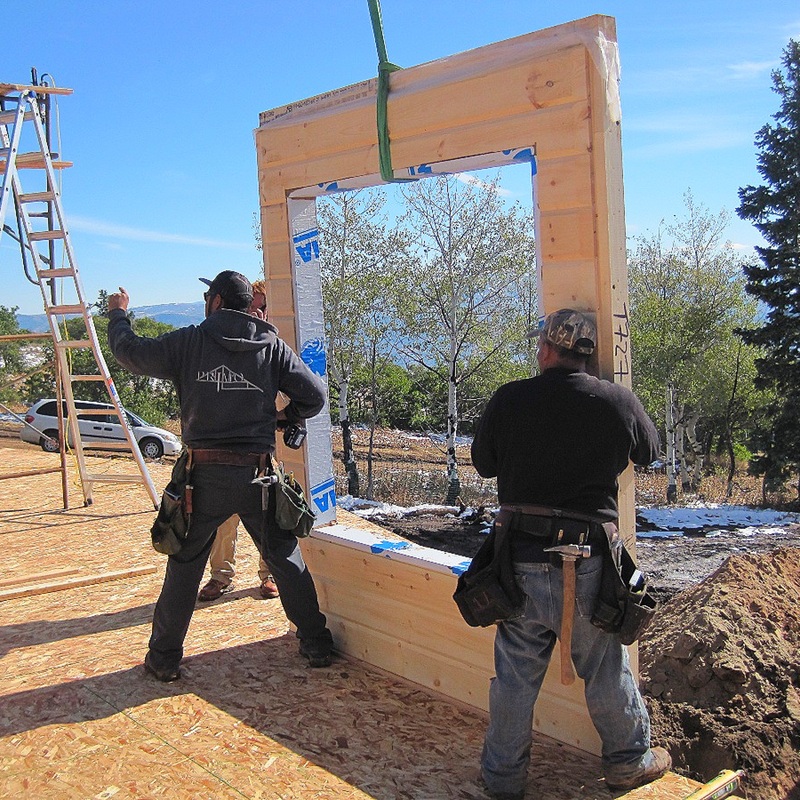 The window and door openings are jigged in place, so you don't have someone trying to frame in a window during a wind and rain storm 25' in the air precariously perched on a ladder at the job sight. This assured a much tighter quality fit that requires less caulking." To top it all off, they needed to have the home dried in as soon as possible as the weather is unpredictable in the mountains. "We just didn't want our expensive building materials laying around in the rain, mud, and snow unprotected. This is where the Timber Block system really shines! The house was dried in in two weeks." Fast forward to today. Jon and Vaunda's home is now complete, and is absolutely stunning. There are several interior features that stand out, including their beautiful fireplace. 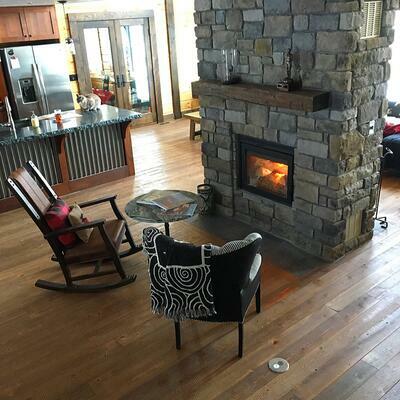 Jon says they loved the fireplace in the Denver model at Timber Block's Connelly Springs location, but they wanted to place it in the center of the room. Their fireplace is not only a beautiful focal point in the room, but also has several benefits. "The fireplace itself is an EPA rated catalytic double-sided fireplace that is used differently from a standard fireplace. Both doors remain closed while the fire is burning, and controls allow us to slow the burn rate considerably. 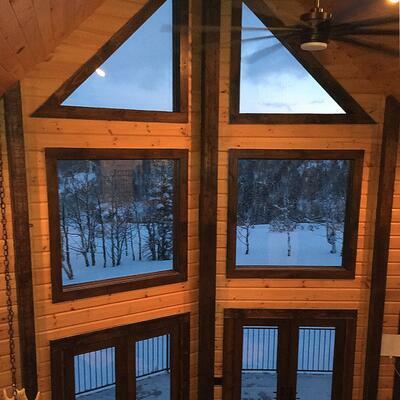 On an average 20-degree day, 5 logs will keep the house at 68 degrees for 5 to 6 hours, no doubt this is aided by the great insulation properties of the home. It offers both that warming cozy feel of a wood fire along with the eye catching appeal that can be seen from anywhere on the main floor. Plus. it breaks up the main living room/dining room area and provides a nice secondary conversation/quiet space where you can enjoy reading a book or having a mouthwatering soup and sandwich at the bistro table next to the fire. Fantastic!" While it may be common to carry the stonework all the way up the chimney, Jon and Vaunda wanted something different. 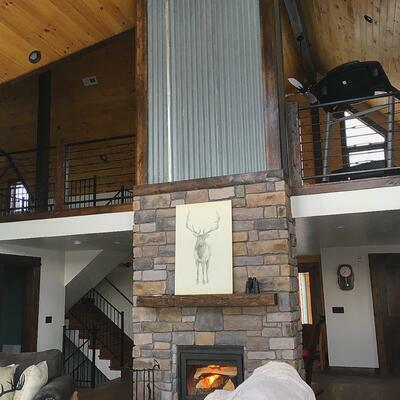 "In keeping with the rustic look, we integrated the corrugated tin up the second half of the chimney. This along with the reclaimed beams we utilized for the mantles enforces the rustic look. 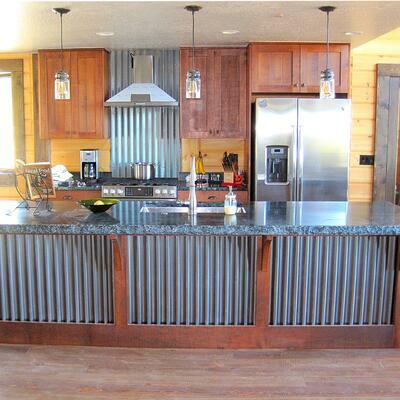 We carried the corrugated tin onto the island cabinets in the kitchen to tie that in to the total design." Jon and Vaunda's dream mountain home is complete, and he says they couldn't be happier. " 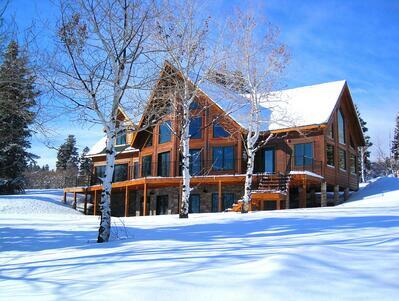 To say we are enjoying our Timber Block home would be the understatement of the century. Everything about the home is true quality. Our friends can't believe when we show them the exterior doors with their 3 striker plate locations that provide a secure air tight seal the full length of the opening. You put your hand next to a window and feel no drafts whatsoever. Words cannot describe what it is like to come home after a full day of skiing and jump into the hot tub and relax in the 3 season room (We actually use it all 4 seasons!) all while taking in the incredible views!" To add to the already-magical location, Jon says the wildlife is incredible! "We woke one morning to some elk bugling and when we looked outside, the house was surrounded by a herd of 40 elk. 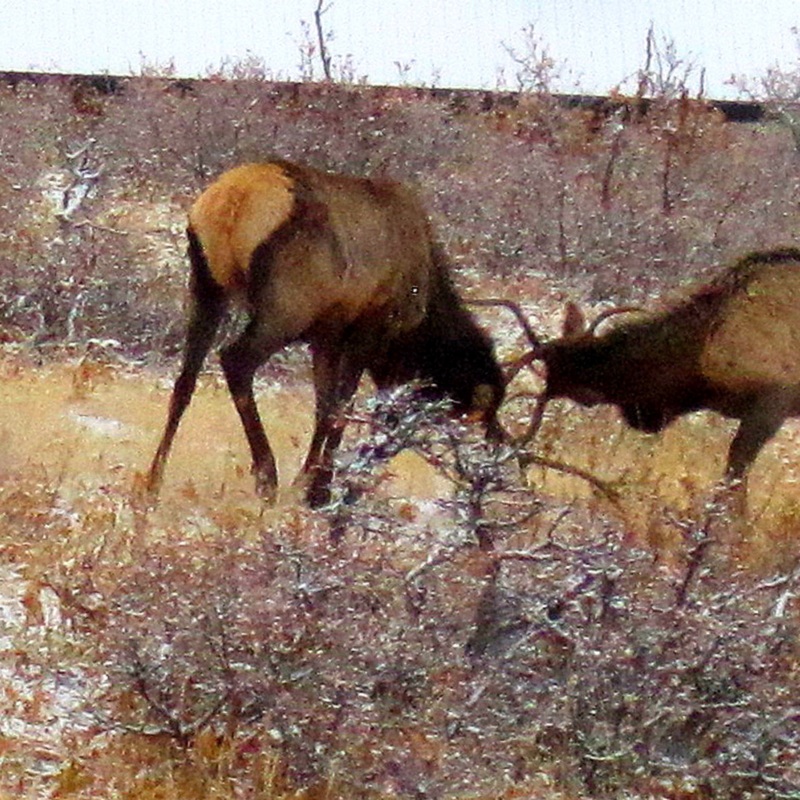 The males were in rut and many were banging horns and claiming their women." 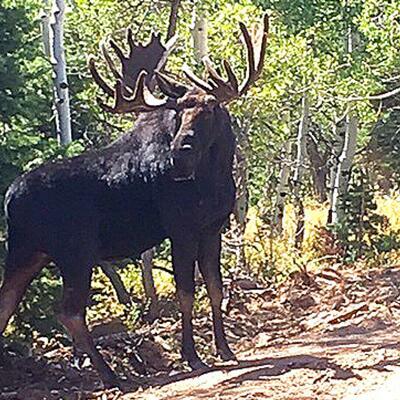 They've also had their fair share of deer, and even a moose." 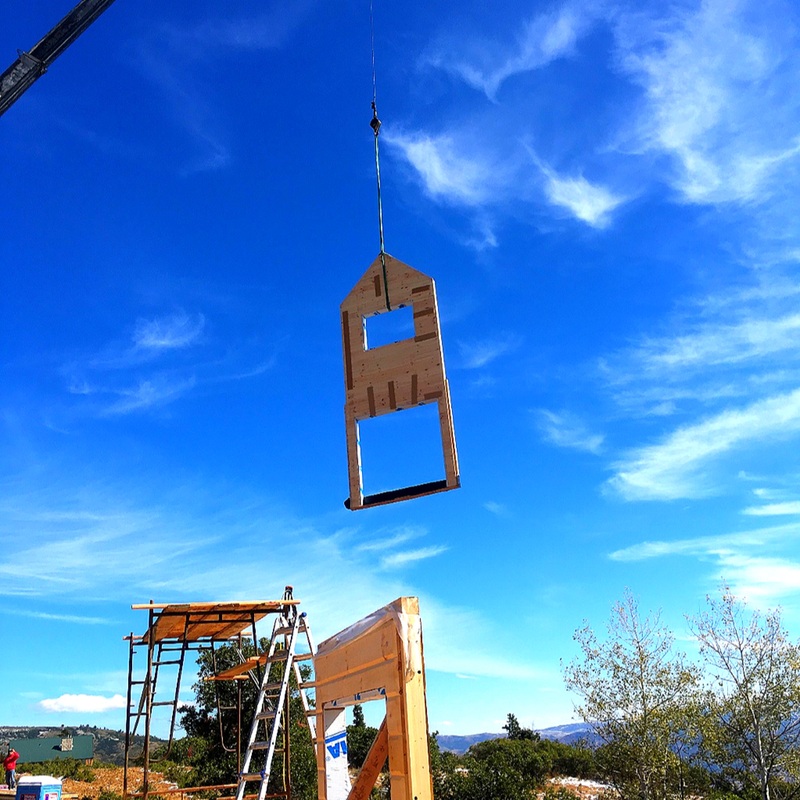 Jon wanted to emphasize the smooth process, "We simply can't say enough about the Timber Block people we worked with through the entire process. Romi, Curtis, and especially Parker have been truly phenomenal. Like any project of this magnitude, some inevitable issues did pop up, but everyone was always prompt in getting back to us and went out of their way to assist in resolving any problems. Not just great representatives of the company, but we regard them as true friends and I have told them they are welcome to come out and stay anytime they would like. I believe our feelings towards them is the best review you could get above and beyond the great product that Timber Block has!" To find out more about Timber Block's processes and procedures, head to www.timberblock.com. You can also visit us on Facebook, Instagram, Pinterest, Twitter, Houzz and LinkedIn.